NOTE: Only the female / body piece is sold on this page. 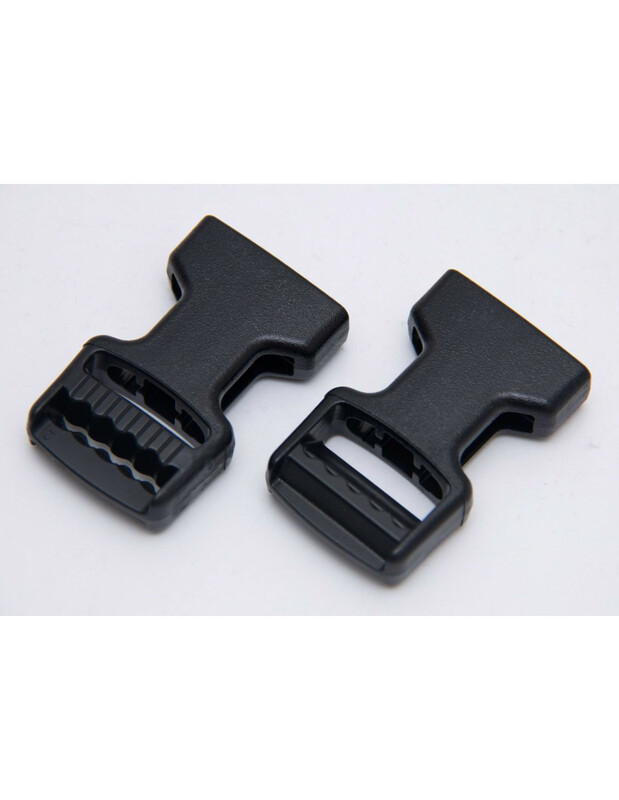 For those tired of their straps slipping through normal buckles on actions such as rucking with speed, the Wavelocs offer a nice strong hold on 1" webbing. These will interface with other ITW 1" male pieces. Due to the tight fit, only a single strip of webbing will fit through the slots so in some cases cutting will be required and then sewing to replace any folds to finish webbing ends.